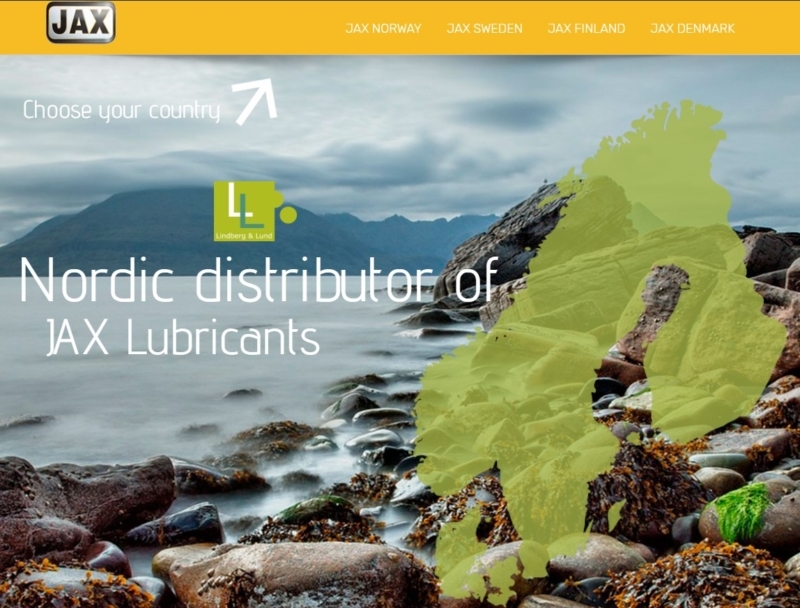 Jax is a pioneer in manufacturing lubricants for the food industry with over 200 NSF® registered products. environmentally-oriented products. The products are available through a global distribution program. The Lindberg & Lund Group imports, manufactures and distributes lubricants, construction adhesives, solvents, composite materials, castings and auxiliaries to the industry. We are established in the Nordic countries, headquartered in Norway. Warehousing and administration in all countries. Our vision is to have the best knowledge about the use of our products, to ensure fast and secure delivery from our own or our dealers’ warehouse, possessing the necessary qualifications in quality assurance and HSE, as well as providing good service to our customers. Our motto is ”We Deliver”. JAX has remained the pioneer of high-technology food-processing and synthetic lubricants over the last six decades by understanding the rigorous applications and developing products to exceed industry needs. Our customers worldwide know that JAX leads the way the in the development of new products for the food-processing industry.